At the same time, for those of you who haven't visited Singapore yet, I've decided to start a new travel category fully dedicated to this city. You can find it in the Travel section! CHINATOWN: the main markets and shops are around Temple St. and Pagoda St. where you can find a lively atmosphere. A bit touristic though, reason why if you have to stop eating somewhere I would suggest to walk towards Keong Saik Road, Duxton Road or Telok Ayer that have plenty of nice bars and restaurants. LITTLE INDIA: Serangoon Road, Little India Arcade and Mustafa (a HUGE shopping mall that sells literally everything and once you're there you completely lose your orientation. But it's worth having a look!!). If you like Indian food you can stop at Lagnaa in 6 Upper Dickson Road, where you are supposed to eat barefoot and sitting on the floor (on a pillow of course eheh). The adventurous ones can give it a try! MARINA BAY & GARDENS by THE BAY: Next to the famous Marina Bay Sands hotel there is the amazing and green area of Gardens by the Bay, a 101 hectares garden. You can’t miss the massive Supertrees here. These tree-shaped vertical gardens are between nine to 16 storeys tall. You can also walk on the suspended walkway between two of them. In the evening, catch the sky show of choreographed lights and sounds or watch the picturesque view of the city skyline. In the Gardens you have also the chance to visit the Flower Dome that replicates the cool-dry climate of Mediterranean regions and houses a collection of plants from deserts all over the world. 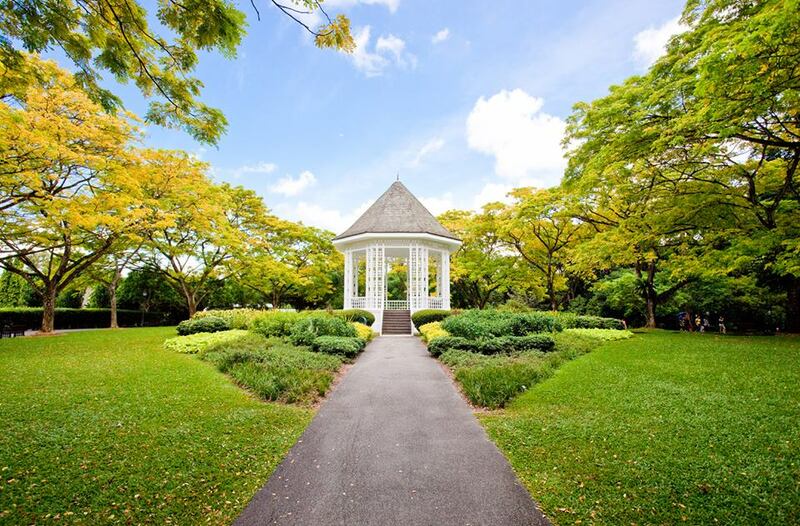 BOTANIC GARDENS: Singapore’s oldest garden is an UNESCO Heritage Site is a great venue for jogging, dining, relaxing or organizing pic-nics. It includes the National Orchid Garden, the Swan Lake, the Heritage Museum and the Symphony Stage where they often host outdoors concerts! Click here so see the upcoming events. 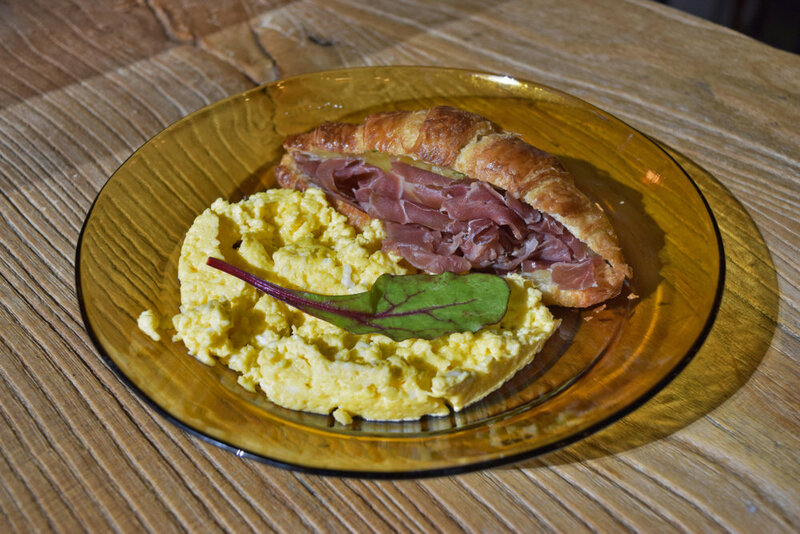 DEMPSEY HILL: my favorite area for a Sunday brunch! It's a green, hilly, hipster and not so touristic area in Singapore. You can find good restaurants (dedicated post to follow 🙂 ), interior design shops, antique furniture shops, art galleries and much more. 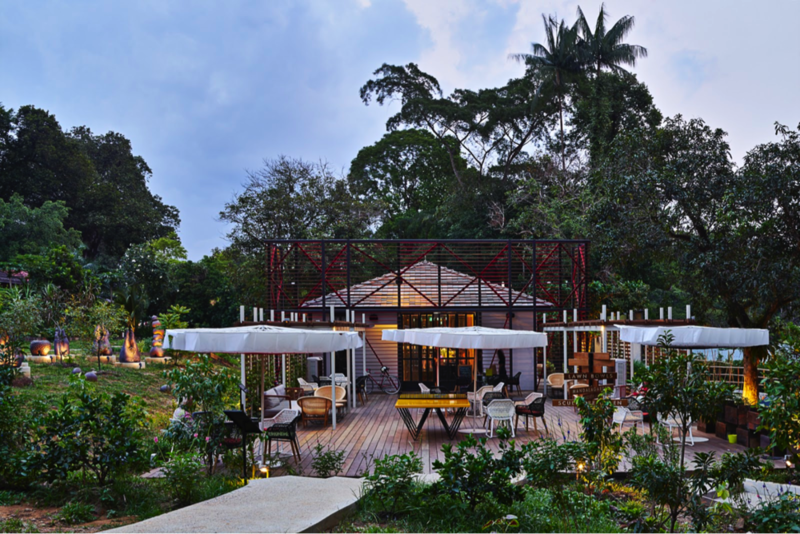 You can also take a stroll along any of its walking trails (formerly this area was a nutmeg plantation, then re-purposed as the military camp until 2007 when it was transformed in a tranquil hideaway where you can dine, relax, shop and enjoy a nice walk). ORCHARD RD & SOMERSET RD: for those of you who want to do shopping, this is the main area, full of shops and malls. The most famous is ION. Hope you will enjoy and don't forget to subscribe to my blog to receive the upcoming articles! Il menù ha confermato la mia prima impressione: piatti sfiziosi, salutari, sandwich particolari e drink originali! Anche i vegetariani saranno accontentati e appagati con piatti come la My Awesome Vegetarian Salad. Ingredienti come avocado, cranberry, chorizo, fois gras, granchio, salmone affumicato, brie e noci abbondano sia nei gustosi sandwich che negli altri piatti. Un consiglio per quanto riguarda i drink analcolici ̬ la Awesome Drinkable Idea, ovvero acqua di cocco con bacche di Goji, semi di Chia e scaglie di cocco, servita nel bulbo di vetro (simbolo del ristorante) che puoi portare a casa come oggetto di design. 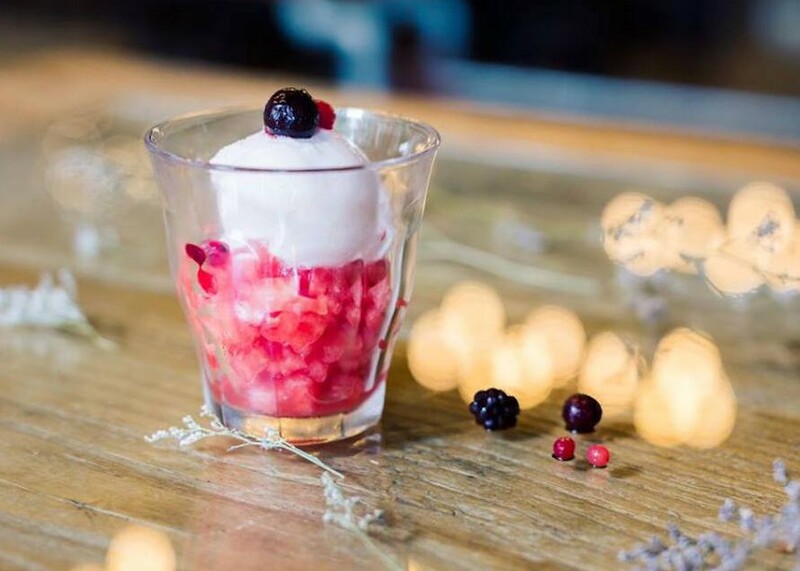 The menu confirmed my first impression: delicious dishes, healthy options, special sandwiches and original drinks! Even vegetarians will be satisfied choosing for example the My Awesome Vegetarian Salad. Fresh ingredients like avocado, cranberry, chorizo, foie gras, crab, smoked salmon, brie and walnut abound both in salads and in tasty sandwiches. 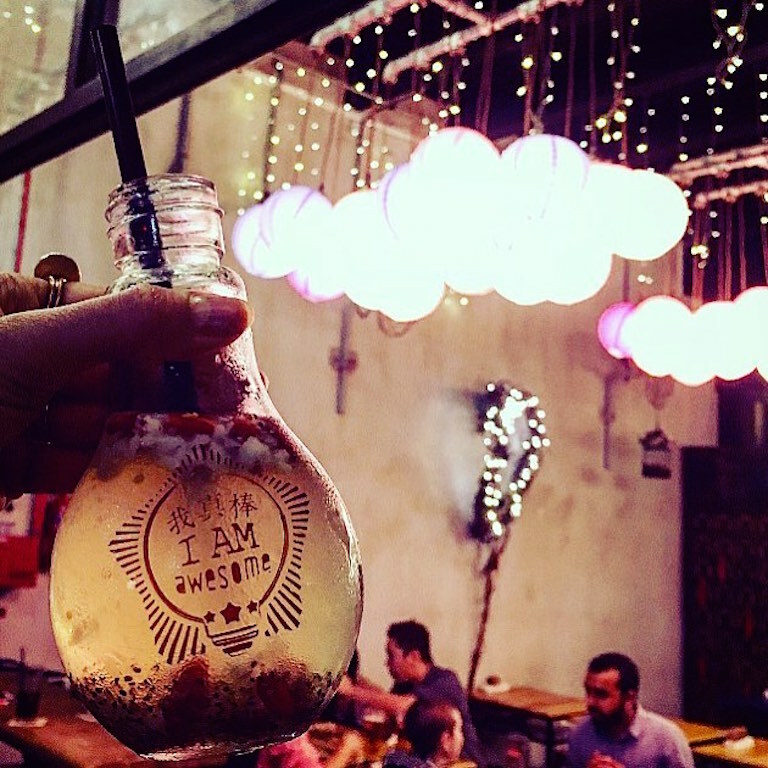 Concerning drinks, an alcohol-free recommendation is the Awesome Drinkable Idea, consisting of coconut water with Goji berries, Chia seeds and coconut flakes, served in the light bulb (symbol of the restaurant) that you can take home as a design object. Questo caffè bohemien con la sua atmosfera da epoca industriale mi ha fatto sentire nel West Village di New York per un paio d'ore. Prezzi contenuti per essere a Singapore e zona super centrale. Se passate da Singapore fate un salto al 202 di Telok Ayer e ne uscirete soddisfatti! This bohemian cafè with its vintage industrial vibe made me feel in NY West Village for a couple of hours. Affordable prices considering that we're in Singapore and super central location. 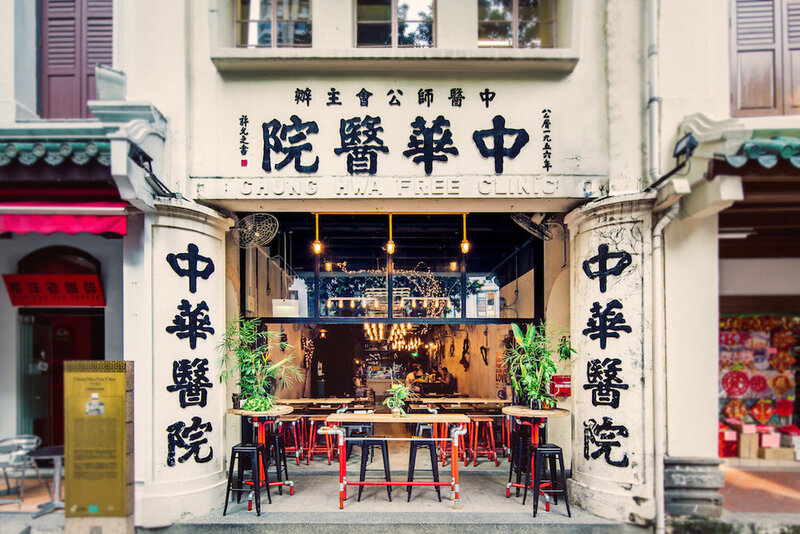 If you're planning to visit Singapore pop into 202 Telok Ayer and you will come out satisfied!